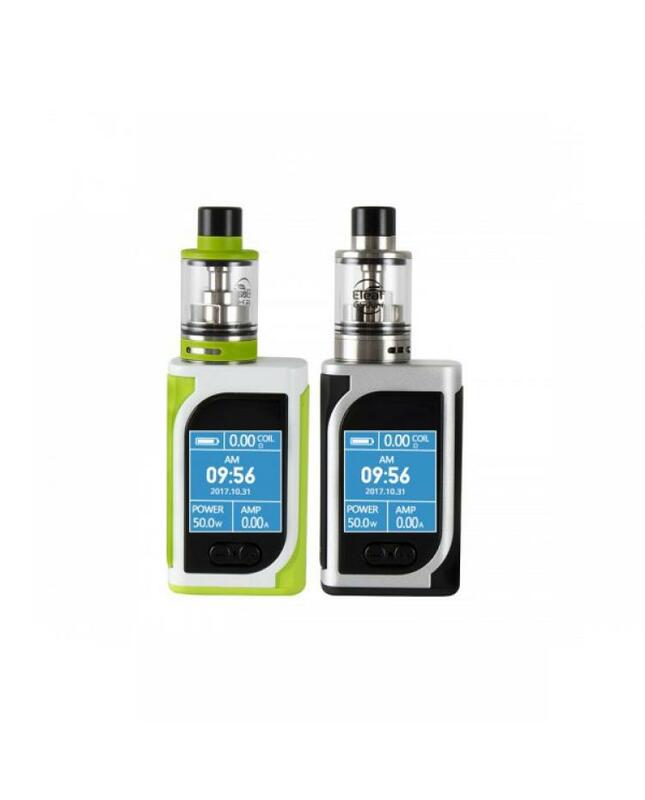 Newest mini size eleaf istick Kiya cheap box mods with GS juni tank. 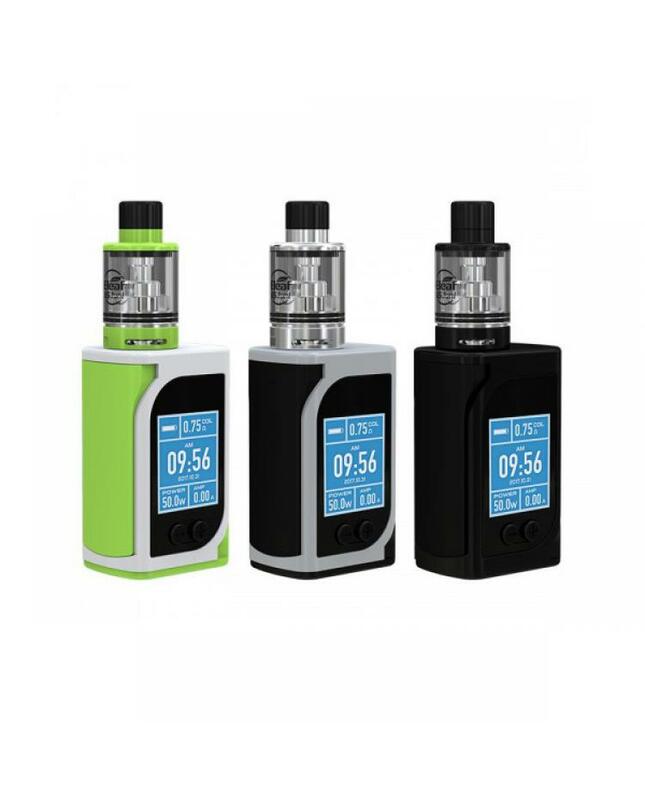 three fashionable colors available, the kit include istick Kiya box mod and GS juni tank, which is quite portable and comfortable to hold and carry around. the istick Kiya mod built-in 1600mah battery and max output 50watts supports resistance as low as 0.05ohm under temp control working mode, different working modes selectable: VW, BYPASS, TC and TCR. the new eleaf vape mod with one large 1.45inch color screen that displays all essential information clearly and brightly. the real-time clock system is newly applied on eleaf istick Kiya, presenting the time in two ways: digital clock and dial clock. the GS juni tank can hold 2ml e juice, which with a refined airflow system, vapers can twist the airflow control ring to get the optimal airflow. the kit comes with two different coil heads:0.75ohm and 1.5ohm coil heads can fire up to 25watts, which designed to deliver the purest flavor. 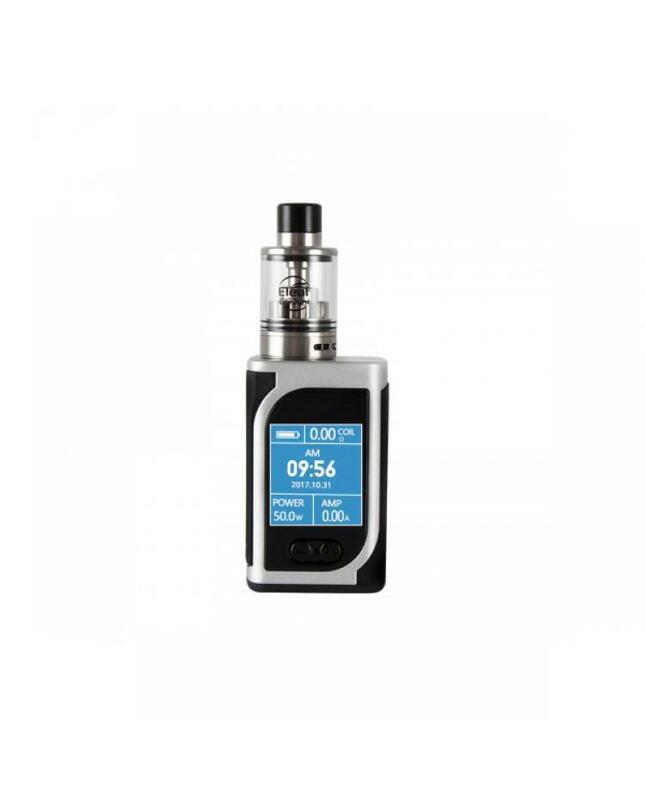 this mini and compact starter kit will be a good option to new vapers.